It’s a well-known fact that replacing your old windows with high-quality windows that have double or triple glazing will reduce your energy consumption. But just how much should you save from your replacement window investment? Signature has put together a simple Window Energy Saving Calculator that you can download to see the real difference your new quality replacement energy-efficient windows can make. U-Values are assigned to building materials to indicate their thermal resistance (i.e energy-efficiency). The U-Value tells you how quick or slow it takes for heat to transfer through the building material. A window’s total U-Value is made of the frame, glass and spacer bars. It’s important that the total Window U-Value (e.g Uw-Value) is represented properly and not just the glass (Ug-Value) as this is a more accurate depiction of the energy performance. It also vital to be wary that this is an uninstalled energy value which is why you should opt for quality certified installers. A windows U-Value is only as good as the final installation. Should You Just Look At The U-Values Of The Window? It’s easy to get lost in the window jargon that can easily arise when trying to work out simple questions like “how much should my new energy efficient windows save me?”. Yes, U-Values are important to look at, but you also need to consider both the air-tightness and water-tightness of your windows. The air-tightness indicates how likely air will leak through your windows and gives you an idea of the overall build quality. The water tightness will tell you how likely water is to penetrate your windows. Learn more about window performance ratings here. Now to 100% accurately work out the exact savings that you can make with energy-efficient windows would require a wide range of variables to take into account. However, Signature has put together a formula that will give you a rough estimate of what you should expect with your new windows. We’ve also included a Window Energy Saving Calculator at the end of this blog so you too can work out your potential savings. So let’s say you’re replacing 40m2 worth of windows. 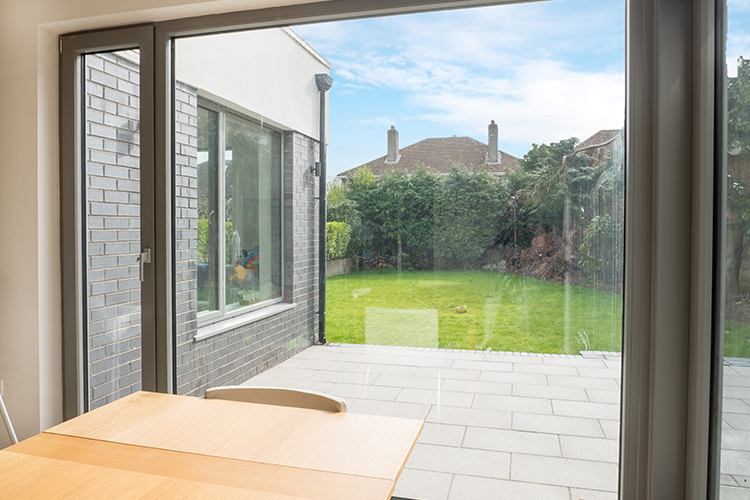 One company is offering double glazed windows with a Uw-value of 1.4 W/m2k while another is offering triple glazing with a Uw-Value of 0.8 W/m2k. We’ll also assume that you heat your home for only six months of the year. Signature’s Near-Passive Standard Aluminium Clad Wood Windows can reach U-Values as low as 0.65 W/m2k. Learn more about our Next-Generation Energy-Efficient windows here. Signature has put together a quick window energy saving calculator so you can work out the savings you could make with triple glazing. Just put in the U-Values of the two different window types, the total size of glazing area and the current cost of a kwh of gas/oil. The calculator will do the rest of the calculations for you. Start your download by clicking on the link below and carefully follow the instructions.